Thankfully the sale in March was another HIT! 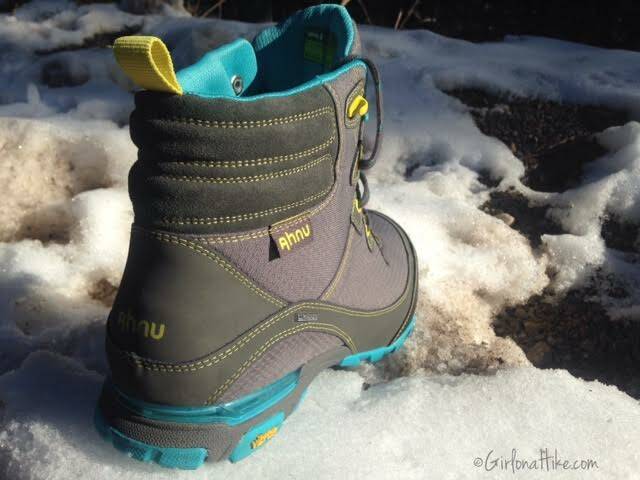 I've been desperately needing winter hiking boots that won't make my feet get soaked after hiking 6 miles in the snow. 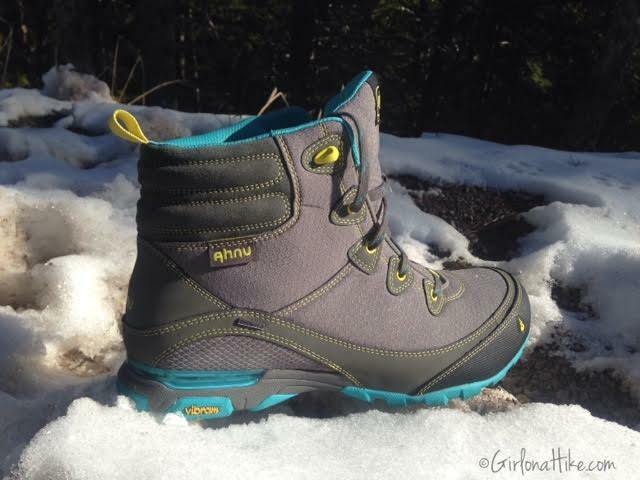 I was in search of boots that 1) weren't super heavy to hike around in 2) waterproof 3) comfortable & 4) wouldn't make my feet sweat. REI Garage Sales can be somewhat tough to find the correct size (I have large feet for a woman, size 10 or 11), however these pretty things were sitting by themselves in the corner. I quickly grabbed them, did a test walk, and was sold. One of the unique things about these shoes for me, is the higher ankle. I never buy shoes with high ankles - I don't need the support, and I like have more movement and freedom. However, these high tops didn't seem too constricting, and I wanted to make sure that when I hike in snow, that it wouldn't get in and down my socks. I may seem weird, but I don't fully trust that any gear is fully waterproof. I've bought things in the past that say they are, and don't live up to the description. I always make sure that when I buy new gear, to spray it with CampDry. To use CampDry, make sure your shoes (or other gear) is clean. Spray about 10 inches away from product. I will apply the coating outdoors on grass or pavement, so I don't ruin the inside of my house. You can also spray it over newspapers. Let dry for 12 hours, then apply a 2nd coat. Let dry for another 12 hours. That's it - you're ready to use your gear! Once bottle of CampDry has lasted me close to 2-3 years now. 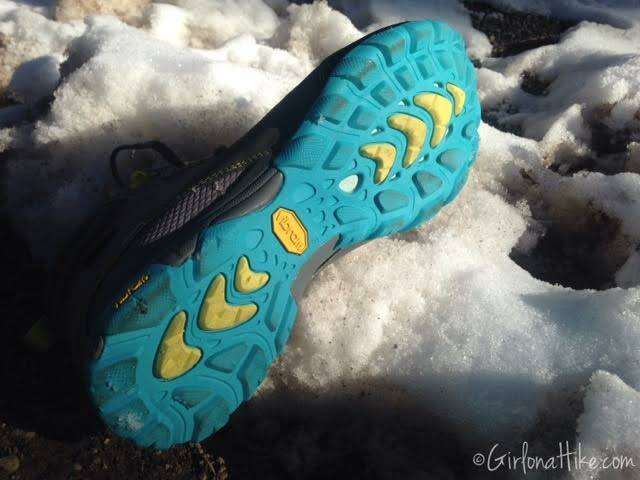 The tread isn't the most aggressive, however, if you are only using these in winter (such as I am), I always use my Microspikes anyway, so the limited tread doesn't bother me. 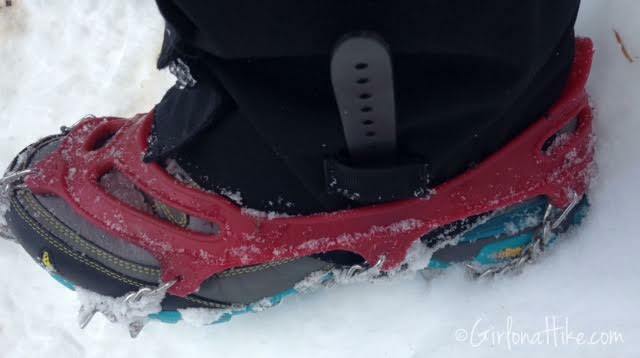 I tested these out on my 6 mile hike to Summit Park Peak, using my Microspikes and Gaiters - my two must have winter hiking items. You can see there is still space where snow can touch the fabric. 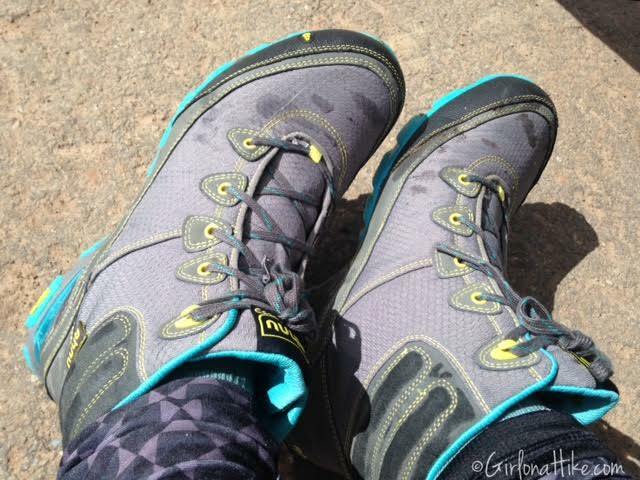 In my old hiking shoes, my feet would be soaked within the first hour of hiking. 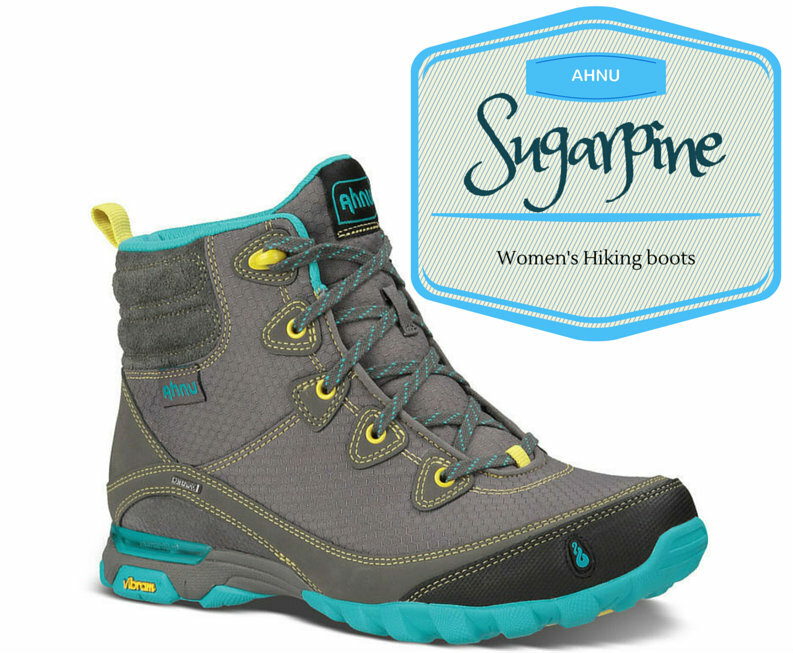 Not with the Ahnu Sugarpine boots! 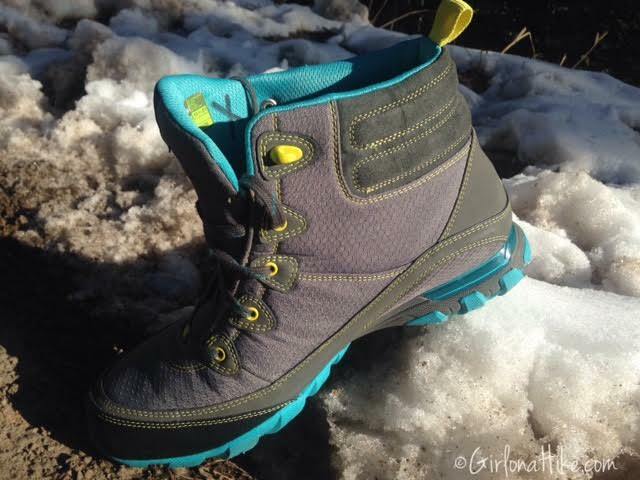 After my hike, I took off the microspikes and gaiters, and revealed 90% dry boots. You can see a few spots where my boots were still wet, but overall these protected me really well from the cold and snow. A dry hiker is a happy hiker!